Fisher-Price is one of the most trusted names in children’s toys, gadgets, and gizmos. The company has been making high quality, highly educational, and value-laden children’s toys since 1930. Established by Herman Fisher and Irving Price together with Helen Schelle and Margaret Evans Price, Fisher-Price focused on the design and development of children’s toys that provided intrinsic play value, superb ingenuity, reliably strong construction, excellent value for the buck, and developmental action. It is not really surprising anymore if any Top 10 Toys list will always include a product from Fisher-Price. In this article, we will explore the 10 classic Fisher-Price toys in 2019 that speak of the great roots of a great company which is still very relevant to this very day. The zoo is a magical place for kids. With the Big Animal Zoo from Fisher Price, children will be able to relive their experiences at the zoo, at least on a smaller scale. The play set comes with a big elephant, a monkey, and a small mouse, together with Mia and the zookeeper. Pressing on the different body parts of the zoo animals will elicit a programmed action. For instance, the elephant has 3 activation points that play silly sounds and beautiful music. The monkey can be rocked back and forth. There are other elements on the Big Animal Zoo that make it more like an activity center than it is a play set. The Big Animal Zoo comes with a variety of actions that are activated by other actions. This helps children understand the concept of causality. Sooner or later, your child will have to learn more about life and about his or her world in school. You have to prepare your kid to understand what the school bus is for. Fisher Price’s Lil’ Movers Baby School Bus should come in as a wonderful tool to help introduce your child to the vehicle that will take him or her from home to school, and vice versa. The Baby School bus comes with three lovable characters, Carlos the bus driver, and Michael and Maggie. Like all Fisher Price products, the Baby School Bus plays songs, phrases, and action lights as well. The Baby School Bus is a great classic toy introducing children to the next most important vehicle in their young lives. The Crawl Around Car of the Smart Stages line of toys of Fisher Price is one play set you will be glad to get for your baby as it will naturally grow with him or her. During the initial stages of development, the Crawl Around Car serves as a learning tool thanks to the inclusion of more than 75 songs, phrases, and tunes which babies can learn. It also comes with a shape and color sorter as well as a built-in ramp which is important for ball play. Once baby has grown, he or she will be focusing more on the music played by the Crawl Around Car. This helps build his or her vocabulary enabling your baby to start communicating with you in a more comprehensible manner. By the time your child reaches toddlerhood, it’s time for letting his or her imagination run wild. With the Crawl Around car, you’ll never need another play set for your kid ever again. The Crawl Around Car’s ingenious design follows the growth and development of babies. Kids love going to an amusement park. There are so many rides to take and a lot of fun activities to experience. And if you’re going to give them the Little People Loops ‘n Swoops Amusement Park, you will definitely see their eyes grow wide with amazement. They will be playing with it for hours at a time. Like a real amusement park, the Loops ‘n Swoops treats your child to an amazing display of lights, songs, and sounds. There are two ramps that provide for a superb double play, mimicking the fun and thrill of riding a roller coaster. There’s a loop the loop section that is truly breathtaking as two Wheelies vehicles roll down the two-foot high ramp. The roller coaster ride is activated by an easy-press button. Your kid will be following the Wheelies with amazement. The Loops ‘n Swoops is perfect for introducing kids to simple science concepts such as gravity, distance, and speed. It’s also effective in laying the foundation for spatial intelligence and understanding of causal relationships while enhancing their mastery of fine motor movements and visual motor coordination. The Loops ‘n Swoops provides great entertainment for young children in pretty much the same way as real life amusement parks provide a welcome relief from the doldrums of our modern-day existence. The Loops ‘n Swoops’ fantastic roller coaster ride as well as loop the loop feature provides exceptional learning points for kids. These help them gain a foothold into scientific principles which can become the basis of their complex problem solving skills later in life. Toy blocks have been a mainstay in children’s toys for eternity. In fact, it is one of the oldest forms of toys. The Brilliant Basics Baby’s First Blocks pays tribute to the importance of blocks in children’s development. The Brilliant Basics comes as a rectangular box with a lid that has shaped holes on it. It is your baby’s duty to match the shape of the different blocks with the shape of the hole on the box to slide it in. This helps improve color and shape recognition among babies. Furthermore, it also introduces to infants the concept of sorting as they will learn that the blocks can be easily sorted into similar shapes or similar colors. On the physical aspect of development, the blocks are just of the right size for these to enhance the full development of fine motor skills. Slipping the blocks into the holes also requires visual motor coordination and a basic understanding of space. No wonder the Brilliant Basics, as simple as it may be, is a favorite among parents as it is able to obtain close to 3,000 positive reviews, 68 percent of which are 5 stars. That being said, you will never go wrong with the Brilliant Basics Baby’s First Blocks if you want only the best for your infant. The Baby’s First Blocks is appropriately sized for young babies and is excellent for introducing concepts of color, shapes, and sorting. It’s also great for developing hand eye coordination. You may not think of the Think & Learn Code-a-Pillar Toy as a classic Fisher Price plaything. However, in just a short time, it has clearly gained the acceptance of many moms, dads, and kids perhaps because the design itself is based on a classic caterpillar pull toy but fully embedded with modern processing elements. This is the perfect example of how the old meets the new to form something truly incredible. The Code-a-Pillar comes as a 9-segment caterpillar which can be reconfigured into infinite combinations which is essential in creating specific moves for it. This allows kids to use their problem solving skills to come up with unique ways to find the correct combination of segments to make the caterpillar go a specific direction or perform a certain move. The beauty of the Code-a-Pillar is that, with the correct sequencing of the segments, your kid can actually make it to follow a certain path. To really stimulate the competitiveness in your kid, you can encourage him or her to race with the Code-a-Pillar of his or her friends to see which one will get to the finish line first or who can complete the obstacles in the fastest time. It’s all a matter of pitting the problem solving skills of your kid against the problem solving abilities of other children. Furthermore, each segment of the Code-a-Pillar also lights up to provide your kid with a truly sensorial experience. The caterpillar’s head actually lights up and plays wonderful sounds in addition to its blinking eyes. This can help provide kids with enough encouragement to use their imagination in coming up with make-believe plays for the Code-a-Pillar. The Code-a-Pillar is a great toy for introducing very simple programming concepts to preschoolers. More importantly, it’s a very important tool for encouraging the use of problem solving skills in these kids. Scientific literature reveals a very remarkable fact: music can substantially enhance a child’s emotional intelligence and not only his or her cognitive abilities. That’s why musically-inclined children are known to be more attuned with their inner selves while also performing a lot better in academic subjects than peers who have no musical inclinations at all. This is not to say that music alone can improve a child’s cognitive and emotional development. This is just one factor that can play a role in the optimum development of kids. It’s especially for this reason that Fisher Price’s Classic Xylophone landed a spot in our list because it is one of the easiest musical instruments to play. For sure we could have opted for a piano, a guitar, or even a flute. But these often entail greater deal of psychomotor skill. The Classic Xylophone, on the other hand, is as basic as it should be. You only have 8 different musical keys in various colors attached to a frame that is mated to 4 large wheels. The Classic Xylophone can thus, function as a pull toy which is perfect for young children who are just discovering the joys of walking or cruising. The mallet also serves as the pull mechanism for the Xylophone as it is attached to the musical instrument via a string. There are no electronic components, no batteries required, and thus, no worries about it not functioning anymore. It cannot get any more classic than this. It’s the perfect gift you can give if ever you want your kid to develop his or her musicality or even to help enhance motor coordination. The Classic Xylophone is a very simple musical instrument that can help young kids develop their emotional and cognitive skills while also helping them in their physical development. Role playing activities are very important types of play for young children as it gives them the opportunity to act out normal everyday situations and circumstances in a way that they see fit. This greatly encourages the use of imagination as well as other cognitive processes to define the different roles that each character in the “play” needs to take. The Sit ‘n Stand Skyway from Fisher Price’s Little People series of play sets provides kids with an exceptionally elaborate tool for reliving day to day activities in a particular community from commuting or driving to buying groceries and the like. The Sit ‘n Stand Skyway has a fully collapsible design which greatly enables kids to play with it either sitting down or standing up. When built standing up, the structure can be as high as 3 feet tall which should be perfect for older toddlers and preschoolers. Younger toddlers, especially those who just graduated from infancy, will be better off playing with it on a horizontal layout. Either configuration – the horizontal roadway or the vertical tower – will work wonders in aiding young kids use their cognitive abilities to play a variety of roles. The Sit ‘n Stand Skyway already comes with 2 Wheelies cars which are perfectly sized for the small hands of this age group of kids. There are spiral ramps and beautiful city structures that will surely bring to life any role playing activity. The whole play set also teaches kids about cause and effect relationships as well as introductory physical principles like gravity and motion. Of course, they will not really appreciate these yet but let’s just say that the play set effectively lays down the foundation for such concepts. The Sit ‘n Stand Skyway is an excellent play set for encouraging young children to use their imagination in reliving everyday life in the city. If you have a baby who is just learning how to walk or how to take those crucial first steps towards walking independently, you will need a more fun and more energetic motivator. When Fisher Price designed the Dance & Move BeatBelle Baby Toy, they knew that they had to find a way to entice baby to stand up and take those steps to relative freedom. And true enough, after several years in the market, gaining more than three-quarters of the 1,500 reviews being 5 stars, BeatBelle has become synonymous to babies walking independently. This lovely space creature with bunny-like ears and wide-open eyes that seemingly invite kids to hug it and play with it has been providing babies with the right kind of motivation to try their skills at walking. Since one of the company’s cherished principles is to encourage children to action, BeatBelle accomplishes this by providing an awesome combination of light up show and wonderful melodies every time a baby touches BeatBelle’s LED tummy or presses on any of the three buttons on BeatBelle’s feet. The mere fact that BeatBelle seems so happy singing and lighting up while standing and walking is viewed by many as enough motivation for young kids to start pulling themselves to a standing position and to initiate walking. Of course, babies will still require the supervision of mom and dad especially when it’s time to do the moon walk. BeatBelle also dances by shaking her hips and nodding her head more like the hip hop dancers that we know of. BeatBelle comes in three different modes. The Dance ‘n Move mode lets Beatbelle perform her signature moves while playing lively music to entice our young crawler to start moving. The Learning and Games mode presents BeatBelle as a teacher, teaching baby about the alphabet, counting numbers, and colors, among others. BeatBelle’s Sing-Along mode sees her remixing recorded phrases into beautiful songs. With so much fun activities that BeatBelle provides, it truly deserves to be called a classic. BeatBelle is a very friendly, lovable, and adorable alien who loves nothing more than encouraging baby to move and walk as well as to learn the basics to help prepare him or her for the future. One of the things that children must learn early in life is how humans need to co-exist with other living creatures in this planet. They must be taught early on that everyone and everything has a place in the world and that everything is a part of the larger ecosystem. Fisher Price knows this very well. That’s why one of the bestsellers of the company is the Animal Friends Farm from the company’s Little People product line. The play set features a barn that can be unfolded to reveal the inner structures of the barn complete with the now-iconic music and animal sounds of Fisher Price. Farmer Eddie tends the barn and manages the different farm animals that live there such as a cow, a hen, a horse, a goat, a pig, and a sheep. It even includes a fantastic looking hale bale. The barn itself folds to close with Farmer Eddie and all the farm animals inside making it the most portable farm for your kids. For very young children like infants, the animal figures make for an excellent introduction into the names of common animals found in the farm. It’s also particularly beneficial in training their fine motor control as older babies will be picking up these pieces with a pincer grasp technique and no longer the open grasping method that signals immaturity of fine motor control. The colors on both the barn and the figures as well as the lovely farm songs and animal music provide sensory stimulation which can pave the way for optimum brain and cognitive development. So, don’t be surprised if the Little People Animal Friends Farm continues to be a favorite among young kids. The Animal Friends Farm is a fun, colorful, and musical way to introduce young children to the common animals in a farm. How do you define a classic? Most will describe it as something that is consistently performing well in its particular field. If this is true, then one can only talk of a classic if it has been in existence for a considerable time already. Furthermore, within that span of time, it has consistently performed exceptionally well or has achieved a certain level of standard that others simply cannot match. For example, the American muscle car Shelby Mustang is considered a classic since it continues to outshine newer, more contemporary muscle cars, despite the fact that it was built in the mid-1960s. The Shelby still commands the awesome respect of car enthusiasts and automobile experts all over the world. Such is a classic. Being in the toy industry since the 1930s, we can thus, say that Fisher-Price is already a classic, a stalwart if you please, in the design and production of high quality, value-laden children’s toys. As such, we explored the many products that have ever come out from the company’s design tables and factory assembly lines to give you the best 10 classic Fisher-Price toys in 2019. To do this, we had to really concentrate on the performance of these products both in the market and in the homes of consumers where these are eventually put to the test by the harshest, toughest critics and product evaluators of all time – kids themselves. That being said, we never included anything that had a consumer rating of less than 4.3 stars. We believe this is a fair-enough cutoff score especially if we equate a classic with consistently high performance. We did not rely on these scores alone, however. Of course, we also looked at the developmental appropriateness of these classic toys from Fisher-Price. While the company can always be relied upon to produce high quality and developmentally appropriate playthings, we still had to examine each and every item to determine the kind of benefit that these will bring to children of a particular age. Unfortunately, this was never easy since the company has always made it clear right from the very beginning that it will only produce toys with intrinsic play value. In other words, all of these are designed to optimize the development of kids. We have always espoused the need for making sensible choices when it comes to buying toys for kids. Most parents will simply let their kids choose what they like. Others will buy toys based on their own personal experiences as kids. However, while these methods may seem to work for some, it does not really take into consideration what’s in the best interest of the child. Here are some tips on how you too, can choose toys for your kids a bit more sensibly. Take time and make a conscious effort to learn the developmental traits that are expected of your child. 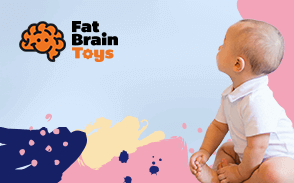 This is very important since toys are supposed to help children develop and grow optimally. Choosing the right kind of toys for your kids is choosing safe toys. It doesn’t make any sense to choose something that will inherently put your kid in harm’s way. So, be mindful of telltale signs of mediocre quality construction. Read the labels for harmful chemicals or substances integrated into the manufacture of the toy. Read authoritative reviews. Go for reputable brands. It may sound cliché but there’s logic to such line of thinking. Well-established brands will do everything they can to protect their image. A faulty product, a strongly written criticism, or even a botched marketing program can hurt a company’s reputation forcing it to do drastic measures. Reputable companies don’t want their image getting hurt. Just look at Fisher-Price, for example. Fisher-Price has been around for close to 90 years. And in those 9 decades, the company has never faltered in its commitment to bringing kids only the best, highly valuable, and truly ingenious toys and playthings. The 10 classic Fisher-Price toys in 2019 are a testament to the company’s continuing dedication and commitment.